We're Having A Butterfly Themed Wedding - Release The Butterflies! 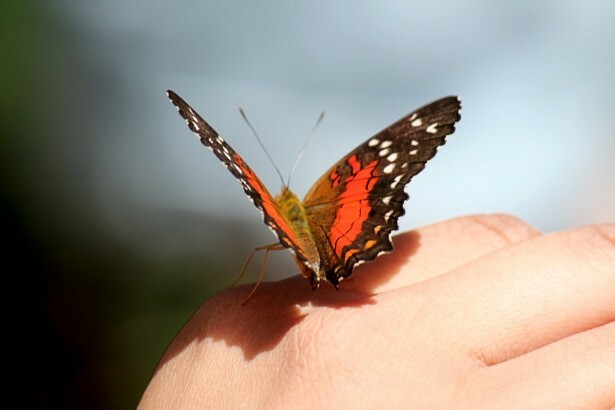 The butterfly is a beautiful creature that many are incredibly fond of. Have you ever wanted a wedding filled with these gorgeous, delicate creatures? Now you can have that butterfly themed wedding plus much, much more. With wedding favors decked out in butterflies, as well as a few other tweaks, you could have the butterfly wedding of your dreams. Let us paint a picture in our minds. We do not need a typical white wedding dress, if you'd prefer not to wear one. Choose maybe a dress of a pastel color, such as a light blue, periwinkle, or pale pink. 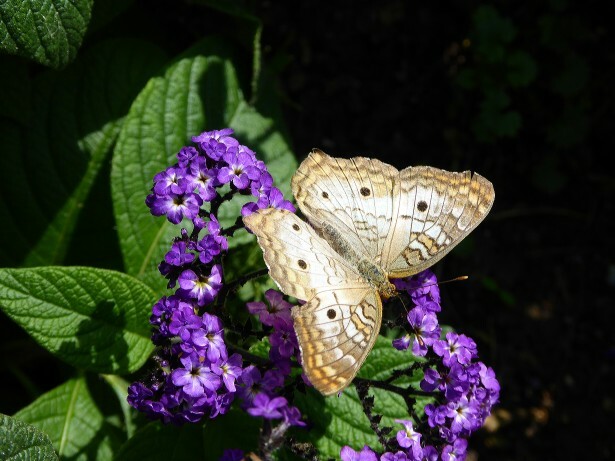 Instead of releasing doves as the bride comes down the aisle, release elegant butterflies of all types. As the bride steps down to the music of her choice, the butterflies are released moments later, and a rush of color sweeps behind the bride as she walks down the aisle. The altar and the aisle seats are draped in a soft fabric that compliments the pastel color of the bride's dress. The bridesmaids can also be dressed in pastel color dresses, with the groomsmen in matching ties or shirts. As the ceremony comes to an end, the celebration begins. We enter into a room decorated with tables, chairs, and a stage for music. On each table a white cloth is draped over. In the center of each of these tables a small frame is placed, decorated with butterflies, and the couple being celebrated, smiling in the picture. Surrounding the frame are small butterfly tea lights, which creates an inexpensive centerpiece perfect for low lighting. Small, pewter butterfly card holders are placed around the table displaying the guest's names proudly. A large cake is rolled out decorated with our theme, butterflies in vibrant colors dance around the cake. Bottles of champagne sit next to our beautiful cake, each bottle topped with a butterfly bottle stopper. The guests are greeted by our theme in abundance, but it only gets better. Each guest can leave with the perfect wedding day favor. Perhaps in the center of each table a few little butterfly bookmark's can be placed. Joining the bookmarks can be butterfly key chains, candles, and magnetic memo clips. The bookmarks are oval and silver, topped with a silver butterfly. A simple silver butterfly key chain is an ideal wedding favor as well. Candles are one item that may be a little tougher because there are just so many to choose from! Should we go with a small pastel one, with a butterfly painted on it? Or perhaps a pewter butterfly that holds a small tea light? If you can not decide which direction you would like to head with candles, there is always a small silver butterfly that also acts as a magnetic memo holder, perfect for any of your guest's fridge! We wouldn't want to overwhelm guests with too many butterflies, but little wedding favors are perfect with pastel colors. And all of these favors are within any bride's budget! So go wildComputer Technology Articles, and release the butterflies!! Denise Sanger is the owner of several wedding planning websites including http://buyweddingfavorsonline.com Buy Wedding Favors Online carries a diverse catalog of elegant, yet unique wedding favors including butterfly wedding favors and butterfly wedding accessories.